Sometimes informative. Sometimes controversial, but always unpredictable. Join your hosts Hunter, John and Stu every week with a new episode. And so it is, that we wind up Rock Month 2018, but what a band to finish with. Friends, this week, we bring you, the one, the only - MOTORHEAD. On this episode we look at 7 Motorhead albums in particular, but also talk all the other albums in their discography briefly too. It all makes up for one hell of a show, so sit back, get your Jack Daniels, perch yourself at your beloved Ms. Pac-Man machine and listen on. 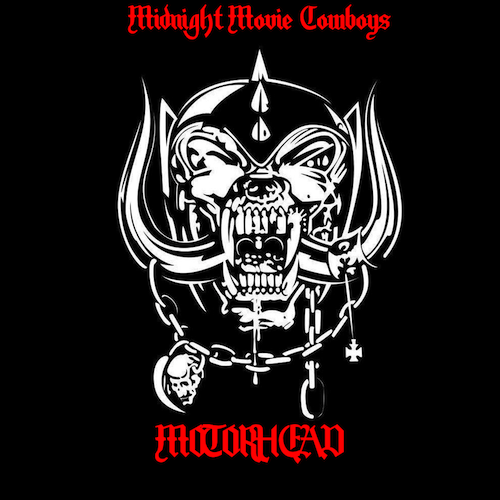 Back to te usual film discussion next week, but for now, get yourself some Motorhead. Copyright © 2010 Stuart Baulk / Hunter Duesing / John Grace. All rights reserved.